Todd D. Greenberg is a well known and well regarded trial lawyer, who concentrates his practice in criminal defense and personal injury law. Verdict- "Not Guilty" DWI-"Not Guilty" DUI Despite Breath Test Result! Sentence In Fraternity Hazing Death: "Greenberg said sentencing process was extremely fair"
September 18, 2007 the New York Post reported that all charges against two former New York Racing Association officials indicted in the so-called "fat jockeys" scandal were dismissed by Saratoga County Judge Jerry Scarano in the middle of the trial. The New York Times, Sunday, January 30, 1994, attributed the acquittal of the Defendant in the Maze Murder Case to "... adroit moves by the Defense Lawyer, Todd D. Greenberg." Federal Court Judge Peter K. Leisure, Southern District of New York, called Mr. Greenberg's closing argument in USA v. Valdez-90-CR-890-4, "...a high caliber summation by an extremely capable lawyer". In a highly publicized murder trial, The Daily News reported that "...in a nonjury trial, attorney Todd Greenberg persuaded [the judge] that [the Defendant's] actions fit the legal definition of extreme emotional disturbance" (Newsday, Sept 9,2003). A Defendant accused in the highly publicized Hate Crime in Queens was acquitted of all criminal charges regarding the alleged attack. (Newsday, December 6,2005). $3.25 million award to a repairman who received serious burn injuries after a fuel tank exploded due to an unsafe work environment. $3 million award to the family of a construction worker killed in New York by a defective scaffold. The victim was an undocumented alien. $875,000 award to the family of a 45 year old New York City Police Officer who committed suicide while incarcerated in a Nassau County jail. $615,000 award to a customer assaulted in the parking lot of a Home Depot in Nassau County, New York. $500,000 award for a construction worker injured in a construction accident while working at New York's JFK airport. Mr. Greenberg is a 1977 graduate of Hofstra Law School, is a member of the Queens County Criminal Courts Bar Association, The Queens County Bar Association and The New York State Bar Association. Prior to entering private practice in 1980, Mr. Greenberg was an Assistant District Attorney in the Queens County District Attorneys Office, where he was assigned to prosecute the most serious criminal offenses. 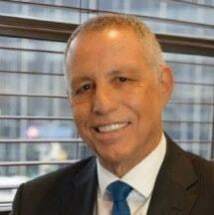 In 1983, together with Partner Dominic L. Addabbo, Mr. Greenberg established the firm of Addabbo & Greenberg, where, in addition to continuing his criminal practice, he has developed an expertise in Civil Litigation involving such matters as Personal Injury, Products Liability and General Business Litigation. Mr. Greenberg is admitted to practice in the State of New York and United States District Courts for the Eastern and Southern Districts of New York and has been admitted PRO HAC VICE to several Federal District Courts, as well as state courts in Virginia, Florida, Maryland, Pennsylvania, Connecticut, and New Jersey. President, Assistant District Attorney's Association of Queens County Inc.